Suriya's yet-to-be-titled film is going to be directed by Sudha Kongara and actor Aparna Balamurali has been roped in as the female lead. Actor Suriya is all set to commence shooting for his next film from Monday. Actor GV Prakash, who is also composing for the movie, shared a photo of the pooja that was held on Sunday for the film on his official Twitter handle. 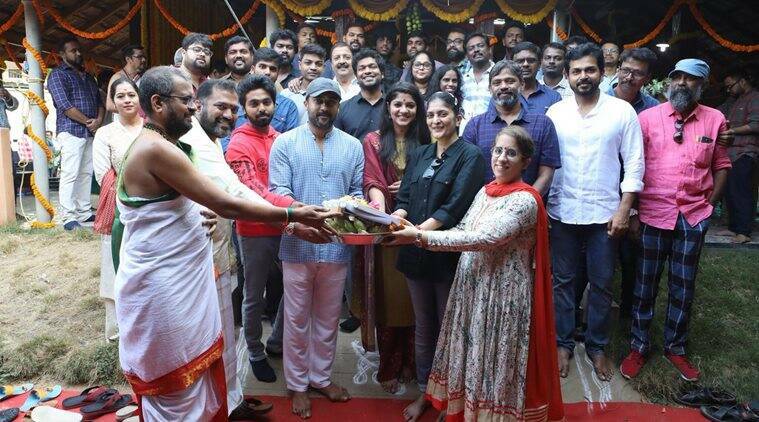 “Pooja today #Suriya38Update #SudhaKongara #GV70”, he tweeted. Actor Suriya also tweeted about the project. “Starting shoot with #DirSudhaKongara from tomorrow…! We need all your love..!! #SudhaKongara @gvprakash @nikethbommi @Aparnabala2 @editorsuriya @jacki_art @guneetm @sikhyaent @rajsekarpandian @SF2_official,” read his tweet. The yet-to-be-titled film is going to be directed by Sudha Kongara and actor Aparna Balamurali has been roped in as the lead heroine. Delighted ,gratified and in short of words here ! According to reports, the movie might be a period drama. The project is going to be bankrolled by Suriya’s banner, 2D Entertainment and Rajsekar Karpoorasundarapandian, in association with Guneet Monga of Sikhya Entertainment. The technical crew consists of Satish Surya for editing, Poornima Ramasamy for costumes and Jacki for production design. Niketh Bommireddy is cranking the camera for the film. Suriya is currently busy with a slew of projects, including the much-awaited release of the political drama, NGK where he has teamed up with ace director Selvaraghavan. The actor is also joining hands with director KV Anand once again for a big budget action film. There are also reports that Suriya will start work with director Hari in the latter half this year. The duo is known for their hit Singam movies.